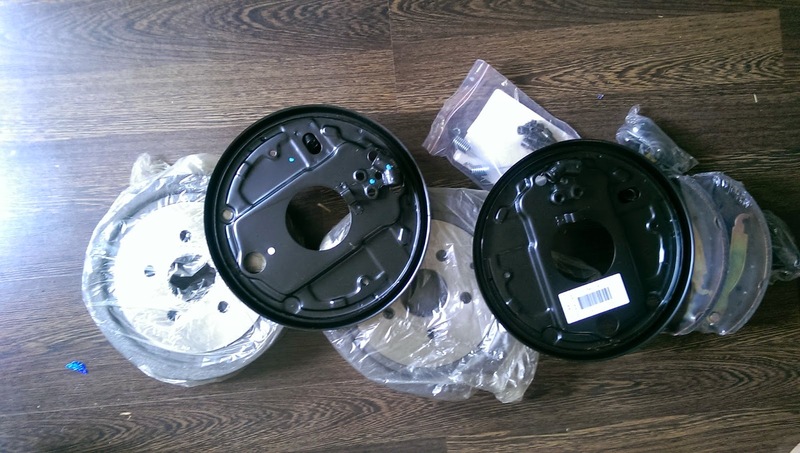 A video showing the steps of replacing the drums and backplates on my VW T2 Camper. Coming home from work I heard a slight ticking noise from the rear followed by the bus starting to hold back. I wasn't far from home so kept going hoping it wouldn't get worse. When I arrived I took a look at the rear wheels and noticed the drivers side rear had gone from a bright white to a nice yellow colour! On closer inspection it's hard to work out exactly what's gone wrong but one retaining pin has gone, the other fell out, the springs were in the bottom of the drum! The whole thing must have got really hot as you can see by the colour of the wheel. The shoes had no material left and the cylinder looked pretty jammed up to. Obviously I need to replace the lot, I need to have another look at the drum but think that's scored up beyond repair. Better check the flexi hoses to. Oh well just another job to do!! 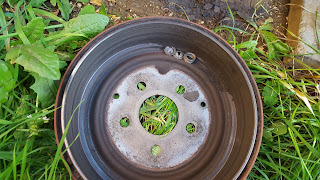 I finally got to the cause of my seized brake drum. After replacing the shoes, wheel cylinder and drum, it turned out to be the short flexi that joins up the break pipe at the rear of the bus. 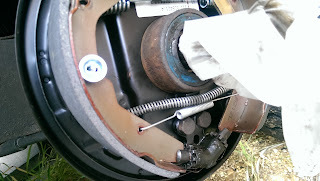 The issue was that the wheel cylinder was not retracting after I took my foot off the brake pedal. This caused the shoes to stick on and heat up the drum! Below is a picture of the result! One wheel that got very very hot! 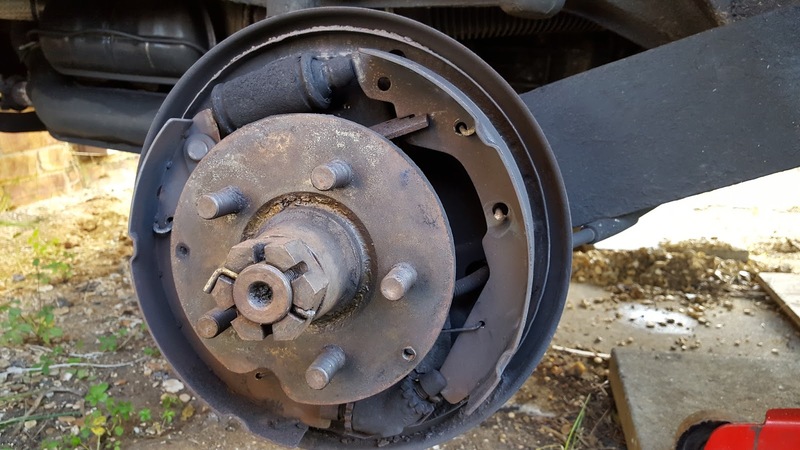 Brake shoes without any material on them! 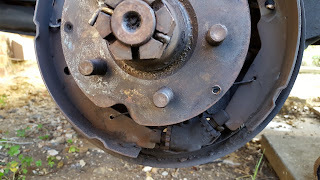 and a damaged wheel cylinder. Above is a pic of the new flexi in place. The old pipe did not look damaged at all but it must of collapsed in side. 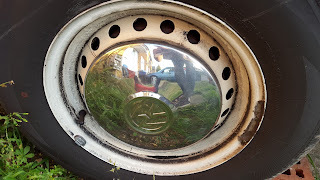 After replacing it the wheel cylinder function properly and brakes are now working again! After replacing my brake shoes I had a problem with the handbrake on my bus. 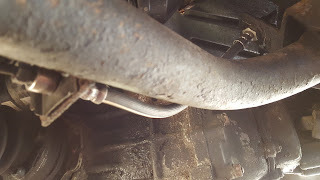 One of the cables seems to have stretched causing the handbrake to pull up unevenly. I put together a short video of the process to try and help any others undergoing the task.